One year ago, we had the opportunity to attend the Global Entrepreneurship Summit (GES) in Hyderabad, India. It was a brilliant experience and we’re circling back to share a few updates and pictures. Undoubtedly, our highlight was pitching in front of Ivanka Trump, Advisor to the U.S. President, Rajan Anandan, Google Head of Southeast Asia and India and a host of other business leaders in the Semi Finals of the Global Innovation through Science & Technology (GIST) Catalyst Pitch Competition. Qlicket was 1 of 24 companies selected to advance to the Semi Finals based on feedback from GIST judges, our pitch video and our performance in the public vote. THANK YOU to everyone who voted for us! Unfortunately, we didn’t make it through to the Finals. However, we did win $1,500 in Amazon Web Services credits. We also came away with an unforgettable pitch experience, exposure to tech leaders and thoughtful feedback that’s given us renewed impetus and a fresh perspective on our positioning. We’re thankful for the opportunity to attend such a fantastic, well-organized event. 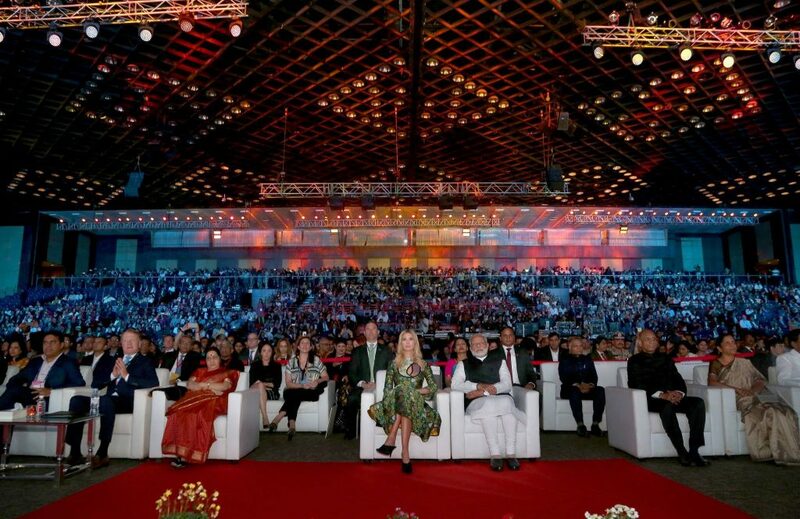 Other highlights include hearing from Sania Mirza (Former World No.1 Women’s Doubles Tennis Player), Mithali Raj (Indian Women’s Cricket Team Captain) and Narendra Modi (Indian Prime Minister). There were some wonderful, inspiring discussions. Read The Hindu’s Recap.